I think it's used to put a microphone in it. One of these I think. 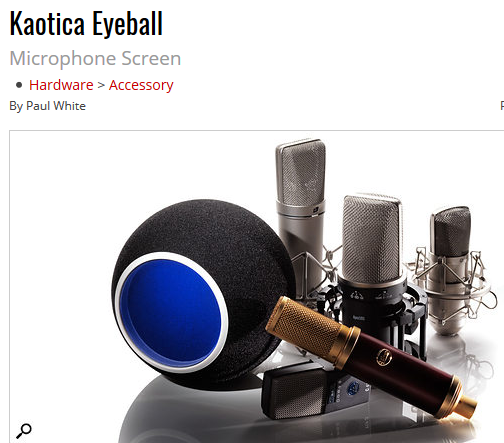 The Kaotica Eyeball. With a standard pop filter in front of it. Not the answer you're looking for? Browse other questions tagged electronics microphones production equipment or ask your own question. What type of mic for use with vocals from an electric guitar amp? Difference between recording with a microphone in front of the amp vs. using an amp simulator? What is the purpose of the pop filter? How can I get decent audio from a clip on 3.5mm microphone? Could a microphone preamp with transformer sound differently from the transformer-less preamp?